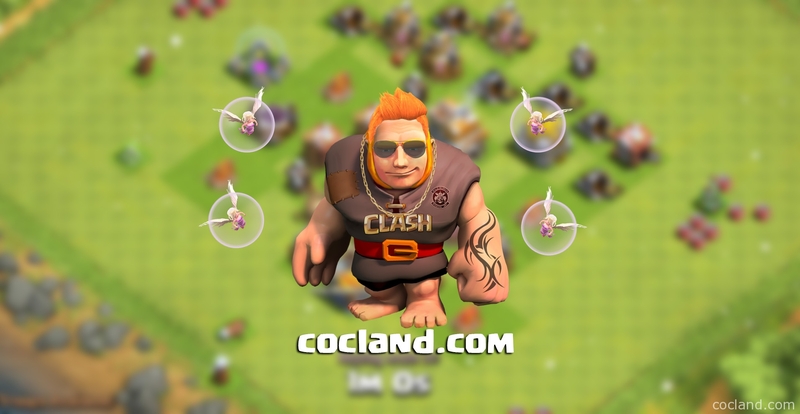 Giant Healer is definitely one of the most notable strategies and the very first powerful strategy in Clash of Clans. People use it a lot, for both farming and Clan Wars, at Town Hall 6 and 7. The key of this strategy is to keep your Giants alive so they can take down as many defensive buildings as possible and all support troops behind them will be safe while working on normal structres. Always locate the Air Defense positions of the base you are going to attack. Don’t use Lightning Spells to take out Air Defenses in this strategy. You probably want to use 2 Healing Spells + Rage Spells instead. The enemy Air Defenses can’t touch your Healers If you place your Giants properly. Don’t split your Giants into 2 or more groups as your Healers and Healing Spells are limited, they can’t cover the whole base at the same time. The Rage Spell can skyrocket your Healer’s buff. Use it wisely and your Healers can buff your Giants to full HP in seconds. Your Healers don’t trigger any any trap, except the Skeleton Traps. As far as I know, most players in game set their Skeleton Traps to ground so you don’t need to care about this much. Always check and lure the Clan troops at first as they can ruin your attacks anytime! 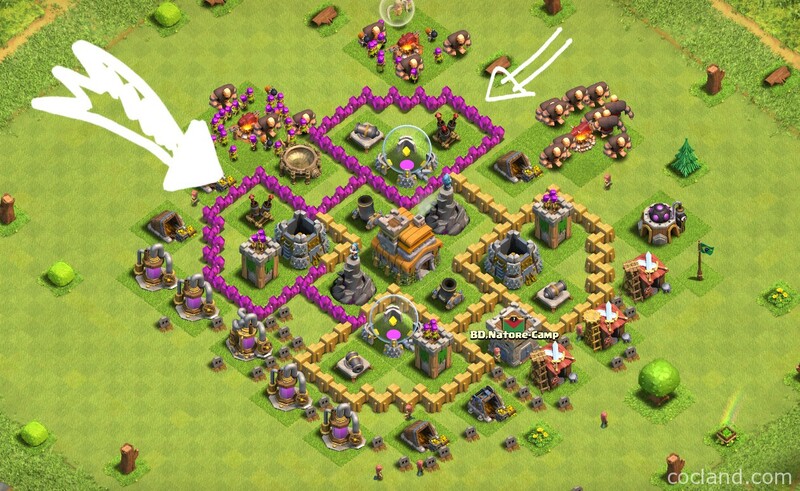 Scouting: When attacking a base, you should lure the Clan troops to the corner and kill them first. 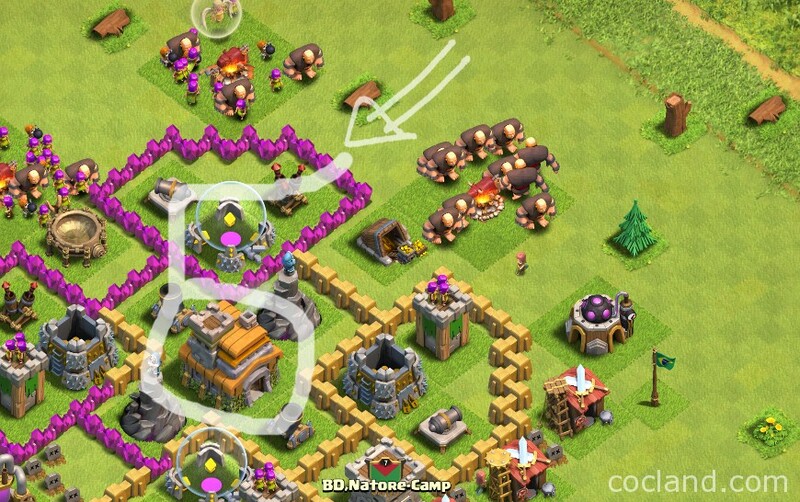 If you are about to do a Clan War attack, after taking Clan troops out, drop your Archers next to the Builder Huts on the corner If there is any. Sometimes, people forget these Huts and just don’t have enough time to get that 100% win. Killing Clan troops is extremely important. Never forget to do this first! When you go with Giant-Healer, you always want to attack from the side closest to the Air Defense and it is a priority you want to take out first. If your Healers are not getting hurt, your Giants will be alive. Also, you will not want to attack from the side which is being protected by Air Sweeper. Below is an example for you. I would spend my Giants for the left Air Defense and use my Hog Riders to destroy the top Air Defense. After that, It’s time to deploy your main army. Drop your Giants first as they are going to soak damage, protect troops behind and take down enemy defensive buildings. Drop 1-2 Giant first to test for Spring Traps. I have seen a lot of players sending all of their Giants in just a few seconds and they all get blown way by Spring Traps. By drop 1-2 Giant first and wait for a few seconds, your whole Giant army will be safe! Once your Giants start hitting the wall, play your Wall Breakers. Beware the enemy Mortars and Wizards as they can kill your Wall Breakers anytime. Play time wisely! You may want to use your Wall Breakers to open more than 1 compartment and the Air Defense will be one of the first buildings your Giants going to attack. The image below shows you how many Wall Breakers you need to use in order to break a decent wall level. For instance, you need 2 Wall Breakers level 3 in order to break Golden walls. Once the enemy Air Defense is destroyed, drop your Healers. Just use your Healing Spell on your Giants If needed to take out the Air Defense. The second Healing Spell will be effectively used to help your Hog Riders later to insure they live for the whole attack. Just drop the second Healing Spell when your Hog HP is about 50%. Drop it on the large group of defense your Hogs are going to attack. As they target only defensive building and they bypass walls, it’s pretty easy to predict what are their next targets. Otherwise, just drop the Healing Spell on the top of them while they are attacking with 50% HP. When all defenses are down on one side, you can start deploying your Wizards to take down unprotected buildings quickly. Here are some decent sample attacks for you! Okay guys thank you very much for reading this. Do you have any question about the Giant Healer strategy? Don’t hesitate to ask!